Sometimes form follows function. Sometimes form has nothing to do with function. 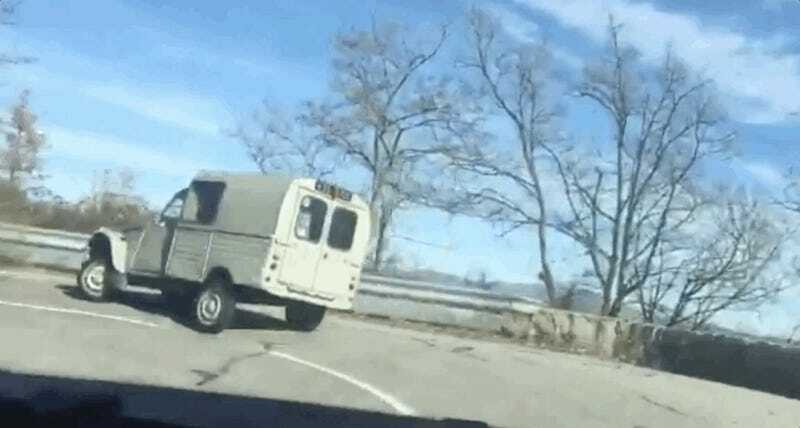 Sometimes you have to take a hairpin turn in your Citroën 2CV van at speeds that are just barely on the safe side of safe. We’re used to seeing old 2CVs lean pretty heavy on turns in these parts, thanks to their soft suspensions that, in some models, also made them more or less unrollable. How this worked was a feat of engineering: a suspension that was interconnected beneath the car, such that when the front wheel of a given side was forced up by a bump, the rear wheel on that side would be forced down, and vice versa. 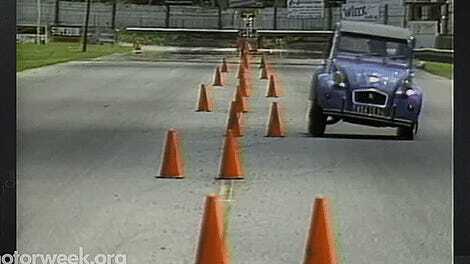 On turns, this also helped the 2CV stay planted to the ground, in addition to its incredibly low-center of gravity. Could you flip a 2CV if you tried? Yes, you could, but it would take some doing. More than its engineering, the 2CV was also good enough for James Bond. Here, we see one out in the wild, captured by auto journalist Andrew Brady, who was out testing the new Volkswagen Up GTI. 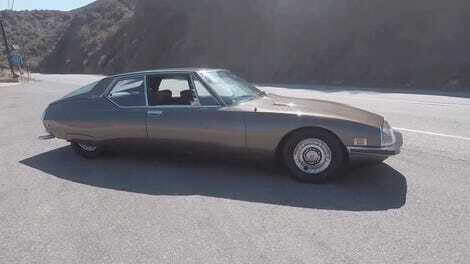 Was Bond driving this one as well? It’s hard to say, though we’d like to think his turning skills would be smoother. 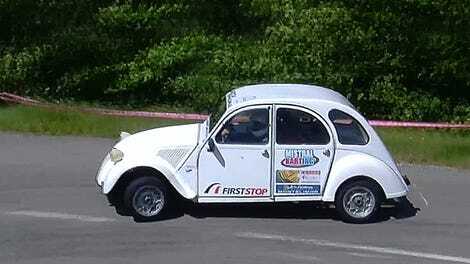 I enjoy, most of all, how anthropomorphic the 2CV seems, like an overweight drunk. I hope it got home safe, and should be proud of itself for acquitting itself well enough ahead of the new kid on the block.